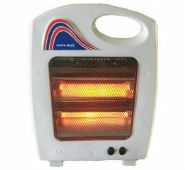 Moglix selling Surya Maze 2 Rod Room Heater Worth Rs 1,499 For Rs 549 Only. But You can get extra Rs 100 OFF by creating new account on Moglix and applying below mentioned discount code. Don't miss this winner essential deal. 20 December 2017 at 15:23 delete This comment has been removed by a blog administrator.